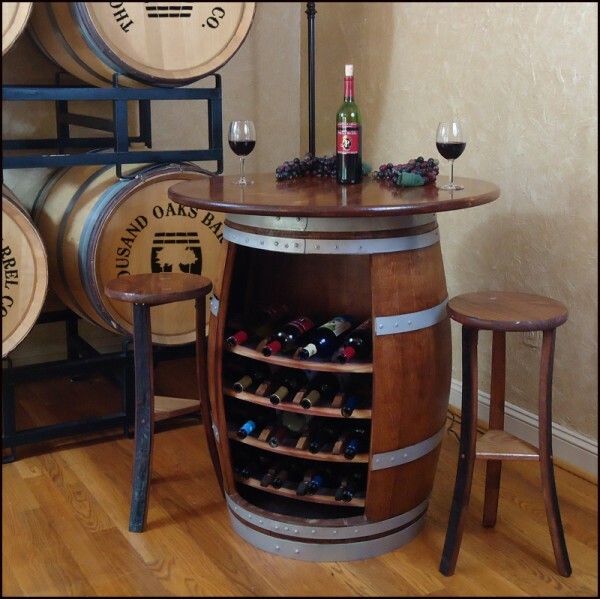 Barrel Table and 2 Barrel Stave Stools- Made from a real wine or whiskey barrel this set will be the hit of any room. Handcrafted in Virginia's Wine Country. One side of the set holds wine bottles while the other side holds glasses. Call for a shipping quote.